iPad 3: First Thoughts | Random Thoughts - Randocity! So, while I originally wrote that I didn’t see the purpose in the iPad, I have since changed my tune. But, from really only one perspective: multimedia. It’s a great portable movie and entertainment device. I also use it for a replacement for pen and paper at work in meetings, for quick email reads. web surfing and I use it as an ‘in a pinch’ workstation for systems administration. These are my primary use cases. Clearly, though, watching movies and listening to music is where this device shines most. And now, taking movies and photos with the 5 megapixel camera… all I can say with the iPad 3 is, “Wow”. The screen resolution and camera are worth the price. Apple has finally created a device that, in my estimation, probably costs more to make than the price for which it sells. If you have an iPad 1, this is definitely worth the upgrade. If you have an iPad 2, you pretty much have everything except the great camera and the Retina display. The Retina display is definitely worth the money. The lack of visible pixels definitely makes the whole iPad experience so much clearer and cleaner. This is what the iPad 1 should have been out of the gate. Had Apple pushed the envelope for the iPad 1, this device would have been so much more so much faster. Too bad it took Apple 3 tries to get it here, but we’re finally here. I didn’t buy the 4G LTE edition. First, I don’t like the service plan costs and the limited data from the carriers. If the mobile carriers could actually be reasonable in pricing and charge rates similar to ISPs like Comcast (both price and speed), I might consider the mobile carriers. Second, the mobile carriers need to change their business models and they don’t want to do this. The whole 2 year contract commitment with capped ceilings and high overage rates is for the birds. The carriers finally need to do away with the contract model and go with a standard monthly commitment like Comcast or any other ISP on planet. Suffice it to say, I’m ranting about the carriers rather than talking about the iPad 3. See, now that’s the whole reason I bought the WiFi only edition. Everywhere I need to use it, I can use it on WiFi with no carrier hassles. I don’t have to deal with crappy carrier service, crappy rate costs, bad connectivity, stupid contracts, dead spots or any other silly carrier BS. If I want to buy a MiFi device (which I have), I can use this to connect my iPad to the Internet, which is the best of all worlds. With a MiFi, I can use it with multiple devices, including my iPad 3, iPod Touch, my LG phone and my notebook and even my home computer when Comcast decides to have outages. I also find the WiFi speeds are far superior to using LTE anyway, so that’s why I bought the WiFi edition. That, and it’s cheaper on the wallet, both in the iPad cost and that there’s no monthly recurring service fees. The iPad 3 is definitely my entertainment device of choice (other than my 46″ flat panel display when at home). For portable entertainment, the iPad 3 is it. It is now simply the device of choice for watching movies, playing music or playing games. It is now officially the Sony gaming killer. It may not kill the Xbox, yet. But, Apple has the upper hand now. If they could woo over some big gaming companies like Ubisoft to put Assassin’s Creed on there and, at the same time, release an Apple bluetooth video game controller, this would easily become my gaming platform of choice. Perhaps even over the Xbox. Of course, Apple would need a gaming network including chat and whatnot. So, there’s some hurdles for Apple to overcome. But, the iPad 3 has the beginnings to kill the gaming market if they go after it. For watching movies, 1080p images flow fluidly on the 2048×1536 pixel display and the images are literally stunning. There is no other portable device on the market that can do what the iPad 3 does for watching movies. The other tablets have a huge leap to make to get where the iPad 3 is for entertainment. Now if we can get movie studios to start releasing their films in at least 2048 pixel widths on blu-ray (or even iTunes store) so we can actually take advantage of this new resolution. 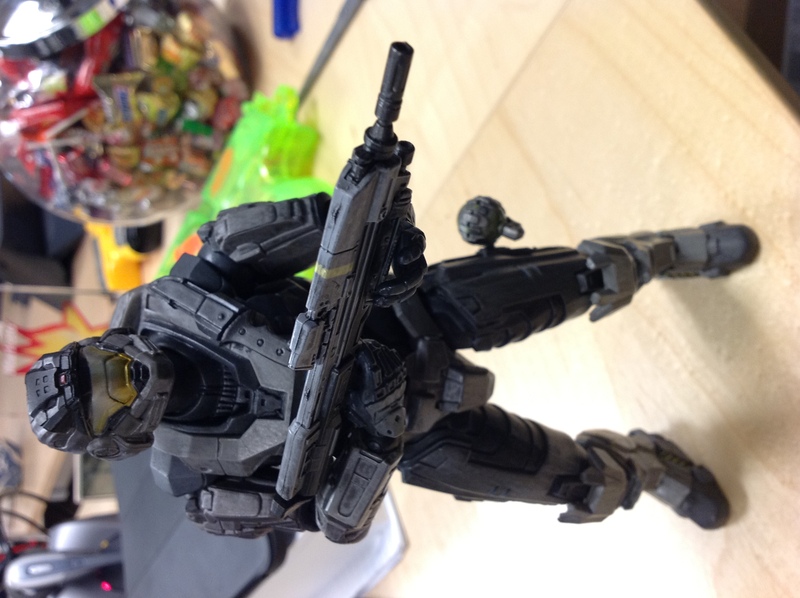 Ok, so I’ll let this section speak for itself… Here’s an image I took with the iPad 3 earlier. Note, size below is 688×922. Click the image to see it full iPad 3 screen size. The fact that it produced depth of field with that tiny lens in this semi-macro shot is amazing. I haven’t yet tried the video camera, but that’s on my list of things to try out. So far, this is a very impressive device and, for me, well worth the money. Now I need to determine what to do with my old iPad 1. It’s over a year old at this point. Amazing how technology gets obsolete so quickly. But, I got my money’s worth from the iPad 1 considering that it was mostly a gift. If you’re on the fence about getting an iPad 3, don’t be. It’s definitely worth the money to get the resolution on the device. The camera is amazing and watching 1080p movies on it is stunning. Now if we can get Hollywood to catch up to this device and release movies in at least 2048 pixel widths, 1920×1080 seems old and outdated. I haven’t yet tried much gaming on the device, so this section will have to wait to be written. 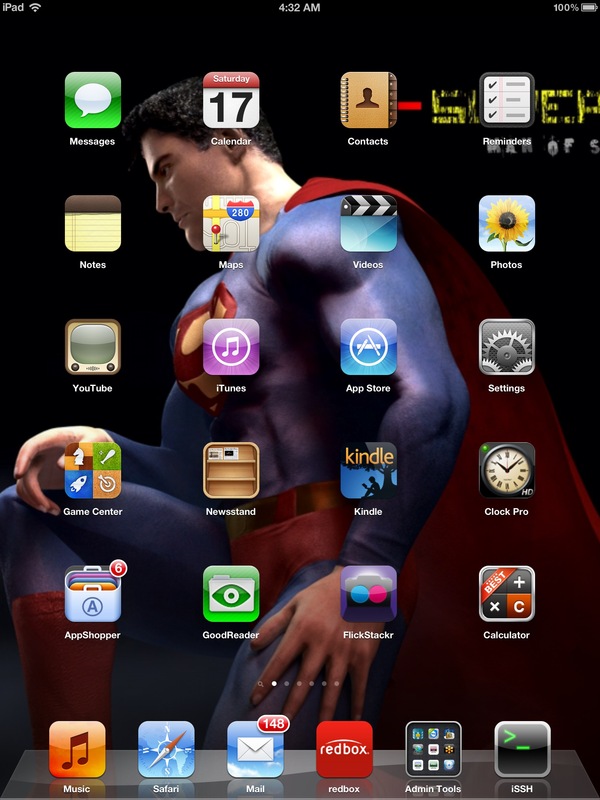 Suffice it to say that the iPad 3 tremendously enhances the look of all apps, though. So, games should look stunning on this display. The thing I will say, though, is that this device has tremendous potential to take over the gaming market with the right level of support. This is one thing I didn’t expect. When running iPhone apps on the iPad, the 2x scaling finally works properly. No longer does it scale up this low res tiny display and make it look all pixelated. IOS now actually scales up the fonts, buttons, text and all scalable aspects and retains the screen resolution. So, even though it’s still a small real-estate app, the 2x scaling remains high-res. 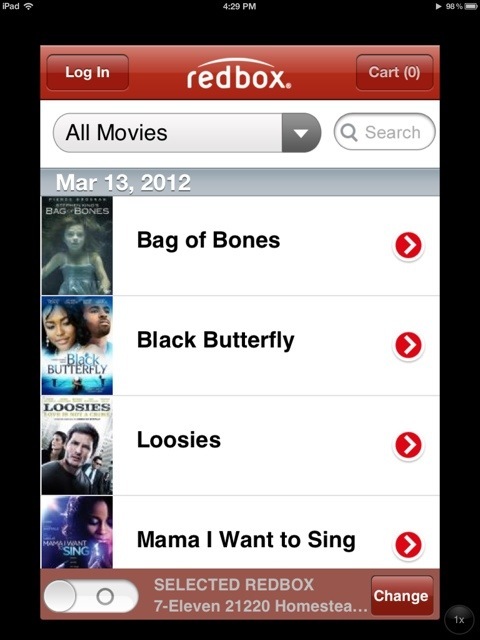 So, apps from places like Redbox (who refuse to write iPad versions) finally look good when scaled up on the iPad 3. All I can say here is, impressive and long awaited. The iPad 3 is definitely worth the money if nothing else than for the screen resolution. The camera is also quite amazing. The device is a tiny bit thicker and heavier than the iPad 2, so it may not fit all iPad 2 cases on the market. But, the smart cover works quite well. As well, the restore process from my iPad 1 was so smooth, automated and reasonably fast, I walked away and came back and it was done. Apple has definitely made this part of the process much much better than previous versions. If you own an iPad 2 and are thinking of upgrading, you should stop by and play with one first. You might want to wait until the iPad 4 to get a bit more life out of your iPad 2 before discarding it. It is worth the upgrade, however, if you are an avid movie watcher. If you own an iPad 1 or any other tablet, upgrading to this tablet is a no-brainer. The speed and power of the iPad 3 is apparent right from turning it on. There is only one thing that Apple missed to really support this screen resolution properly. Apple should have produced a 128 (or 256) GB edition of the iPad 3. With this resolution comes much more space needed by 1080p movies. So, we really need at least a 128 GB version of the iPad 3. I’m guessing we’ll see this with the iPad 4 or possibly a refresh of the iPad 3 later this year (as it’s not really worth a full version release just to double the memory on the unit). However, if you do plan on using it for movies, you will do yourself a favor to buy the 64GB edition as you will need this space to store your movies and music. In fact, as I said, 64GB really isn’t enough for all of the movies I want to carry around with me, so for a heavy movie watcher, 64GB is definitely not enough. Apple, if you’re reading, we want at least a 128GB model. I’d personally want a 256GB model and I’d be willing to pay the added cost for that amount of memory on the iPad.